The Governor delivered his State of the State address last night, outlining his recommendations for the state’s budget over the next two years. His budget includes the restoration of salaries for professional and classified staff by eliminating the furlough program. We are pleased to see this significant priority included in the governor’s budget, which lawmakers will begin deliberating upon, starting Feb. 2. Faculty and staff have sacrificed much since the start of the recession and while this effort can never fully restore what was lost, we are grateful to see its inclusion in the governor’s budget. We will be asking lawmakers to support this initiative and ask for your assistance in the coming days. In addition, the Governor has recommended funding for merit-based step increases for NSHE classified employees. This is an important program that directly impacts many of the lowest paid NSHE employees. It did not, however, include merit for professional employees. Likewise the Executive Budget did not include funding for the Longevity Payment program, which provides semi-annual bonus payments to classified staff based on length of service. Also as directed by the 2013 Legislature and consistent with the NSHE budget request, the Executive Budget removes F’s for non-attendance from the weighted student credit hour calculation. This is a net-zero impact to NSHE as a System, but reallocates funds between institutions based on the relative number of F’s for non-attendance each formula budget had. This reallocation resulted in increases at UNLV, UNR, and NSC and decreases at CSN, TMCC, GBC and WNC. While most of his speech was dedicated to K-12 needs, the governor recommended overall $76 million in new operating funds for higher education, including $9 million for the medical school and $10 million for graduate medical education. The majority of these new funds support non-CSN specific priorities and we will continue to advocate for our priorities, including a state funded financial aid program for low-income students, the competitive workforce training grants for community colleges, an increase in the weighted student credit hour, merit for professional employees and longevity pay. Additional spending in the governor’s budget is paid for through a proposed new business license fee, an increase in the cigarette tax and the continued extension of taxes that were set to expire at the end of this fiscal year. We know this plan is controversial among legislators and will face opposition, so we should by no means expect the governor’s budget to be the final word. The legislative process uses his budget as a starting point and we know that good ideas, student and staff advocacy and good discussions can make a positive impact. We will keep you posted with regular reports and information on how and when to most effectively contact your legislators to advocate on behalf of our annual 50,000 students. This entry was posted in Budget News and tagged budget, faculty salaries, financial aid, Gov. 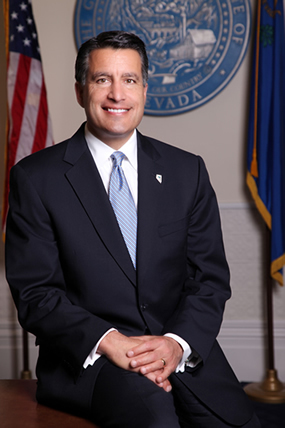 Brian Sandoval, higher education, merit pay. Bookmark the permalink.